The Magner 165 now with fitness! This machine is the end result of 30 months of market analysis, customer feedback, and engineering collaboration. The Model 165F is truly the first “made-to-order” 1.5 pocket sorter. 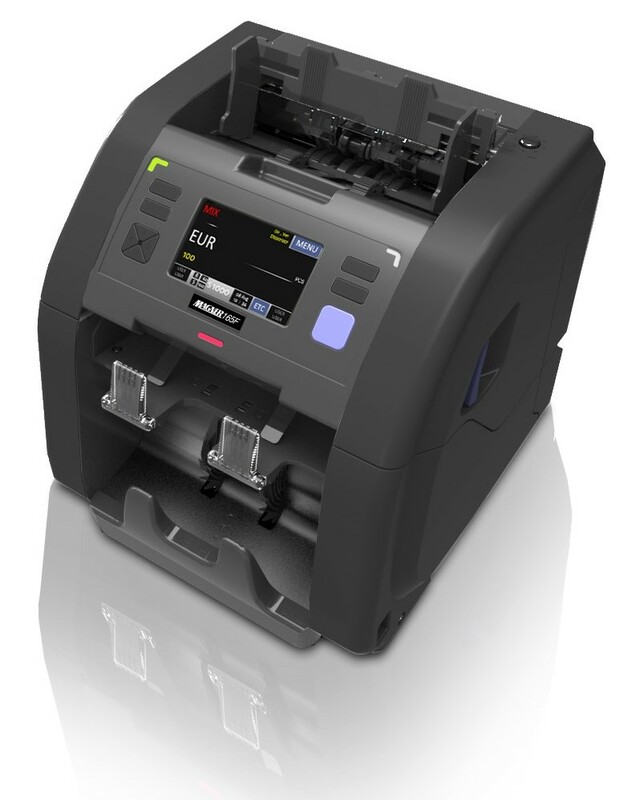 Offering all of the standard features of 1.5 pocket sorters in the market today, including new modern innovations, the Magner 165F can be custom-tailored to meet the current and future needs of the user. 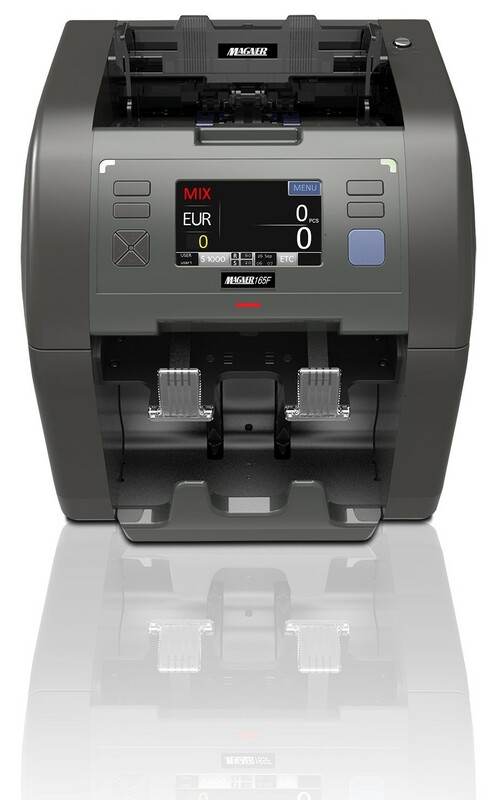 The ultra visible 4.3 inch touch display gives the operator unprecedented detail and authority over each banknote or document counted.